Poor Man's NEVE 1073 Channel. 1272/1073 hybrid:Almost a 1073 but not quite. 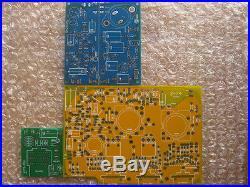 PCB set includes the following boards. 2 stage Class-A, 1272-style BA283AV: 7. This package includes three boards: the first board is the heart of any 1272, the BA283AV -- with one stage of preamp gain and one output amp -- the second board comprises of the entire 1073 EQ/filter section (including make-up gain) and the last board is a 1272 gain switch board. As configured, it's a hybrid of the 1272 and 1073: a 1272 with 1073 EQ. For the sake of 10dB, the build gets a whole lot easier and cheaper. If you don't need 80dB and/or line inputs, then here is 70dB and all the same EQ of the 1073. Add small parts to the boards, transistors, inductors, wire up your input and output transformers and a few connectors: voilà! Build it yourself and save a bunch. The channel is "mic-only" as the gain switch board is designed to eliminate the cost and labour of wiring up a full 1073 line & mic input switch. It has twelve positions from +15dB to +70dB and uses the correct method of distributing gain between the front and rear gain stages. To wit, the Elma 24-pos 3-deck (standard Neve gain switch) costs around 120 -- and is overkill if one is interested in a mic preamp only. 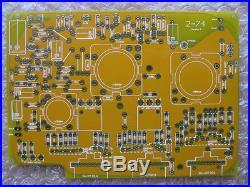 He cost of the PCB-mount Grayhill switch needed for the 1272-GSW board is about 16. The amount of grief saved by not needing to weave the eyelets over three decks: priceless. The circuit is upgradeable as well; simply add another stage of gain (using a BA283NV board, for instance) and update your gain switching. This would make it functionally identical to a full-blown 1073. The boards are themselves 100% faithful to the original Neve circuits and include power filtering, which optimises the wiring greatly. 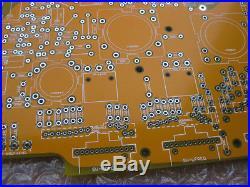 Regarding the board design, the top layer is devoted entirely to chassis ground -- a full plate of copper on every board. 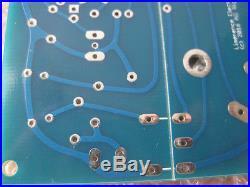 The bottom layer is for signal and audio ground -- with discrete paths, approaching star-ground for the grounding scheme. Isolation is of the utmost importance and all wiring points have shield connections. The traces are thick and curved -- no sharp bends or abrupt intersections. The measurements are a follows. BA283AM -- 78mm x 88mm. BA189 -- 61mm x 82mm. 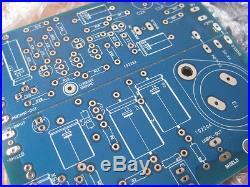 2-74 Filter Board -- 100mm x 140mm. 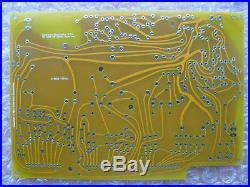 1290-GSW Gain switch board -- 46mm x 48mm. Schematics and a Bill of Materials will be provided. 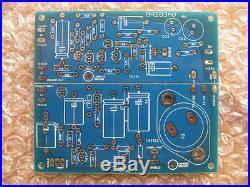 The item "DIY Neve Class-A PCB Set 1272 mic preamp with 1073-style EQ BA283AV +70dB" is in sale since Sunday, September 10, 2017. This item is in the category "Musical Instruments & Gear\Pro Audio Equipment\Preamps & Channel Strips". The seller is "yudlidl" and is located in Mountshannon, Co.